I scratched my cornea the other day. Not on purpose, of course, but I still feel like a loser who doesn’t listen to her own body’s warning signals. My right eye was in misery for most of Sunday night and I should have taken out my contact lens, but alas, I didn’t, and I woke up Monday afternoon half-blind. The good news is th at I can see again without pain. Almost. The other good news is that I spent Tuesday evening with writerly friends. 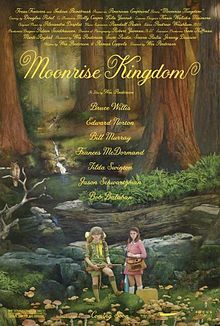 We went to see Moonrise Kingdom, which was charmingly quirky with an all star cast that had me in stitches. “Our daughter has been abducted by beige lunatics!” Remembering Bill Murray uttering that line still puts a smile on my face. Okay, maybe you had to be there. Then yesterday, I ate the BEST shrimp and grits in my life. Honest. The BEST. I’ve always said that if I was given the choice for one last meal, it would be a toss up between Ropa Vieja and Shrimp and Grits. Angelette’s Cajun Kitchen in Tallahassee has shrimp and grits to die for. Really. The best ever. Next → Next post: I have a shiny cover! Shrimp and grits is one of my all time favorite meals. The best I’ve ever had is Mr. B’s Bistro in New Orleans. I eat it every time I’m there!